Like children gazing out of the window into the dark night of Christmas Eve, we wait as patiently as we can for the arrival of summer. Is it here yet? I think so; the sun is shining, the bees are flying, the fruits are swelling on the trees and the strawberries are ready! It’s my birthday in June and I really think that it is the most wonderful time to celebrate. Usually, a day of sunshine is God’s gift to me and I am thankful for all I have been blessed with. This year is extra special as I’m now focusing full time on Hen Corner and can plan a week of lovely activities, mainly in the sunshine. This week, my first task for Monday morning was to set off for the local Pick Your Own Farm in preparation for our Scones and Jam course, it’s a tough job, but someone has to do it! Supermarket strawberries just wouldn’t do for this task; I wanted fresh fruit, picked by hand. A top tip is not to start picking at the entrance to the field as that is where everyone else has started, scan the rows of plants and assess which areas haven’t been picked yet, this gives you first dibs at the best fruit. What a delight to personally choose each individual berry knowing that the privilege is saving you money. Picking in the morning means that you haven’t got the hot sun on your back as you bend down to select your prize and then you can get set on jam making in the afternoon. 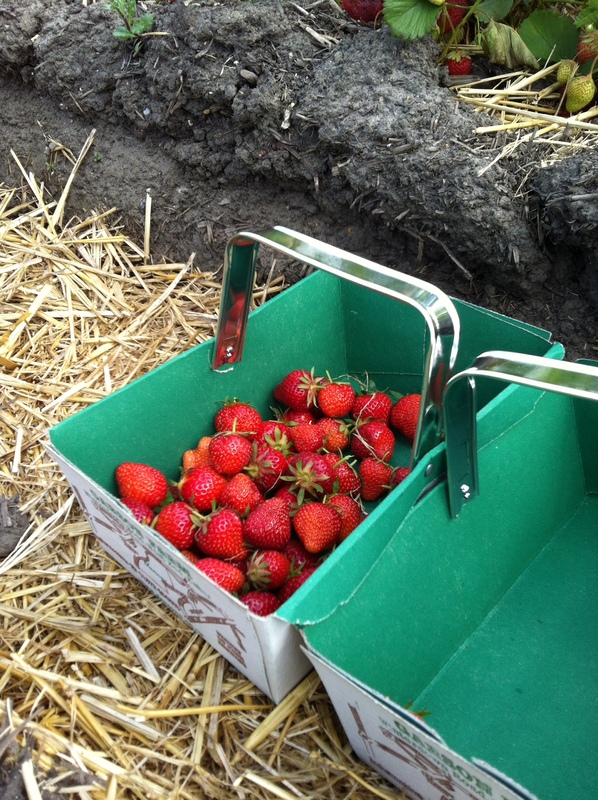 Fresh strawberries can over ripen within a couple of hours of picking so don’t go for the really red ones and plan to use them as soon as possible. I wanted to devise a really simple recipe that I could pass on to course guests, just three ingredients that are each easily found locally. 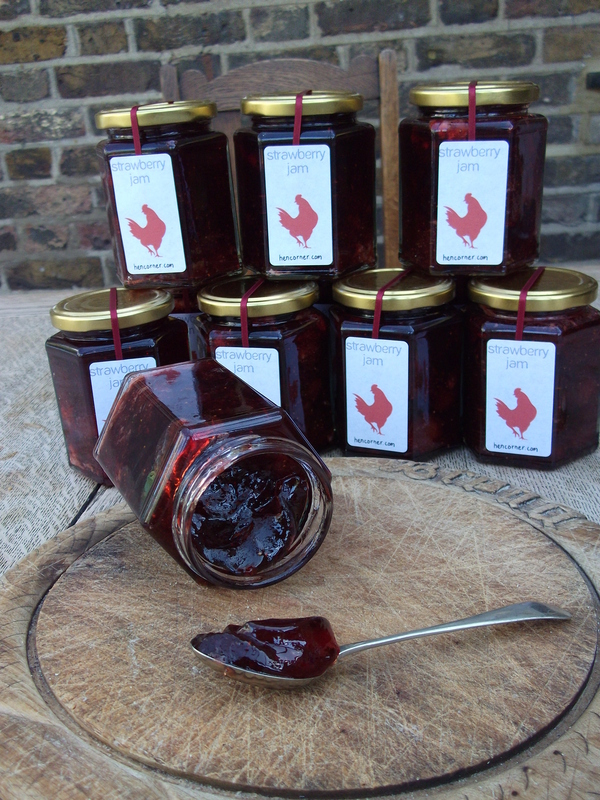 However, I also wanted the recipe to turn out flipping fabulous strawberry jam! 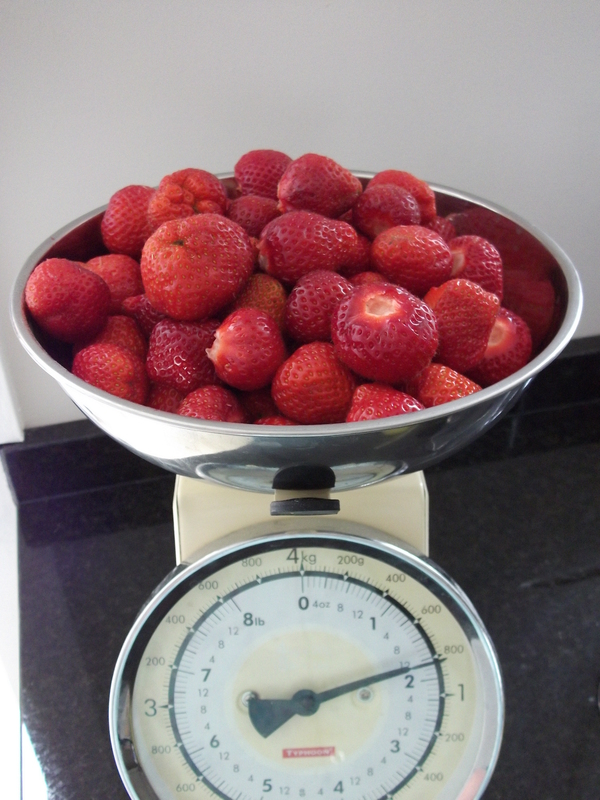 Strawberry, as a fruit has really low pectin levels. Pectin, found in high quantities in apples and lemons, is needed for a good jelly like ‘set’. My first experiences of jam and jelly making have been using the crushed apples after Cider Sunday or Marmalade with pectin rich citrus fruit, so I’ve never had a low pectin challenge before… To be completely honest, I’d never made strawberry jam before. I found recipes that specified Jam Sugar, that contains added pectin, but I didn’t want any chemicals in the pan, I also wanted every day ingredients that you may well have at home anyway. So strawberries, sugar and a lemon it is. The first batch was a soft set, but the second batch has a wonderful wobble – Don’t you think? Alternatively, we would love to plan a private event for you and your friends, or a team meeting for your work colleagues.